(NaturalHealth365) School districts, school boards and school medical health officers in Canada have been notified that Lloyd’s of London has now excluded any liability coverage for injuries, “directly or indirectly arising out of, resulting from or contributed to by electromagnetic fields, electromagnetic radiation, electromagnetism, radio waves or noise.” This includes the radio frequency radiation emitting from Wi-Fi and other wireless devices in schools. This decision is important because Lloyd’s of London, one of the largest insurance companies in the world, often leads the way in protection by taking on risks that no one else will. But, the decision is not surprising because Lloyd’s refused to cover mobile phone manufacturers against risks to users’ health more than a decade ago in 1999. What (exactly) are the risks associated with Wi-Fi radiation? In 2011, the World Health Organization designated radio frequency radiation of the type emitted by Wi-Fi devices to be a ‘class 2B possible human carcinogen.’ Many independent experts now think this classification downplays the significant dangers posed by wireless technology – especially when you consider the thousands of peer-reviewed, non-industry funded studies by scientists and medical experts that show that Wi-Fi radiation is harmful, especially to children. Editor’s note: If you want to see more about this topic – check out our sections on EMF pollution; smart meter dangers and the NaturalHealth365 Podcast called “Wireless technology: Security risks and dangers exposed”. 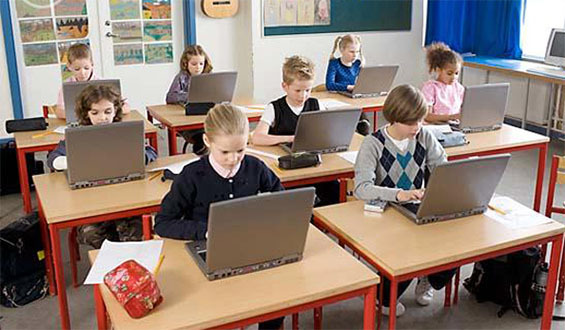 Princeton University recently removed its position statement on wireless safety from their website after parents raised concerns that Princeton’s information was “outdated and inaccurate.” Earlier, this year, France banned Wi-Fi in nursery schools. In addition, schools in Germany, Austria, Israel and Australia have pulled the plug on Wi-Fi altogether. What are the best ways to protect yourself from Wi-Fi radiation? Hardwire your Internet connection: Use an Ethernet cable for your computer connection to avoid radio frequency radiation exposures. Remember to disable the built-in Wi-Fi on your computer once you have an Ethernet connection. Turn off your router: If you keep your Wi-Fi router – turn it off at night and when you are not using it. Keep your distance: Keep away from your computer when downloading large amounts of data on Wi-Fi. Cell phone Wi-Fi: Activate the Wi-Fi on your cell phone only when accessing WiFi. Otherwise, turn it off. Watch out for Wi-Fi: Limit, as much as possible, the time you spend in places with Wi-Fi such as, coffee shops and other public places. Finally, here are some other steps you might want to consider to protect your health. If you’re a parent, become an advocate at your kids school and in your neighborhood. Make your voice heard if you hear about cell towers going up in your neighborhood. These are big money-makers for the telecommunications companies but the money isn’t worth the health risks. The insurance companies have understood the risks associated with Wi-Fi radiation. Make sure you have too and follow the tips above to protect yourself and your family as much as possible.